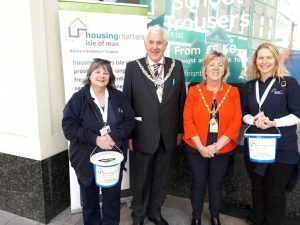 Housing Matters is an Isle of Man registered charity providing advice, guidance and support to local families and individuals in housing crisis. Our vision is that everyone has the opportunity to access housing appropriate to their need. Our aim is to promote and support the provision of suitable accommodation through liaison with private landlords and to assist with applications for social housing. We help by working with trusted landlords to arrange short term accommodation whilst finding longer term housing solutions. Offer a ‘Home Starter Pack’ supporting people in need with the essentials: food, bedding and toiletries. Provide ongoing support, suggesting appropriate services. Arranging multi-agency meetings at the office to address any underlying issues which might later impact on a person’s ability to hold a permanent tenancy. Working with Service Users, Landlords, Estate Agents to facilitate a sustainable tenancy. Liaising with other agencies to provide floating support where needed. Advice for Tenants: For those embarking on independent living for the first time, we offer a tenant’s advice pack in conjunction with a day’s training . This is supported by the Manx Lottery Trust. Advice for Landlords: we have packs available to Landlords for a nominal fee to help create a successful tenancy. Peer Education: In an attempt to reduce the number of young people becoming homeless, Housing Matters, supported by Dandara, organises and delivers Peer Education sessions. If you would like one of our educators to visit your school or youth group, please contact us. They helped me find a short term solution and with support I moved into a one bed flat. Housing Matters have helped me maintain my tenancy and get help from other support agencies. As a local Manx charity we cannot survive without donations from our supporters. We put every pound donated back into helping our community and those in need. If you would like to make a donation please click on the PayPal donation which will take you direct to PayPal safely and securely. Housing Matters’ Peer Education Programme (PEP) uses real life experiences to dispel myths about homelessness and highlight the reality of living without permanent accommodation. In 2016, Housing Matters met 48 people aged 20 or under, including 23 who had left home due to breakdowns in family relationships. The PEP has been made possible thanks to the generous sponsorship of developer Dandara, which has agreed to fund the project for an initial five years. PEP is primarily aimed at 14 and 15-year-olds, although the content can be adapted for other audiences, and will be delivered in sessions in schools and to youth organisations across the Island. It will be led by Programme Coordinator Katie Farrall and are offered to any school or organisation interested in hosting a session. As the programme develops it is hoped former services users could attend to give first-hand accounts of their experiences. Katie explained: ‘Every year Housing Matters is contacted by dozens of teenagers who are without permanent accommodation. 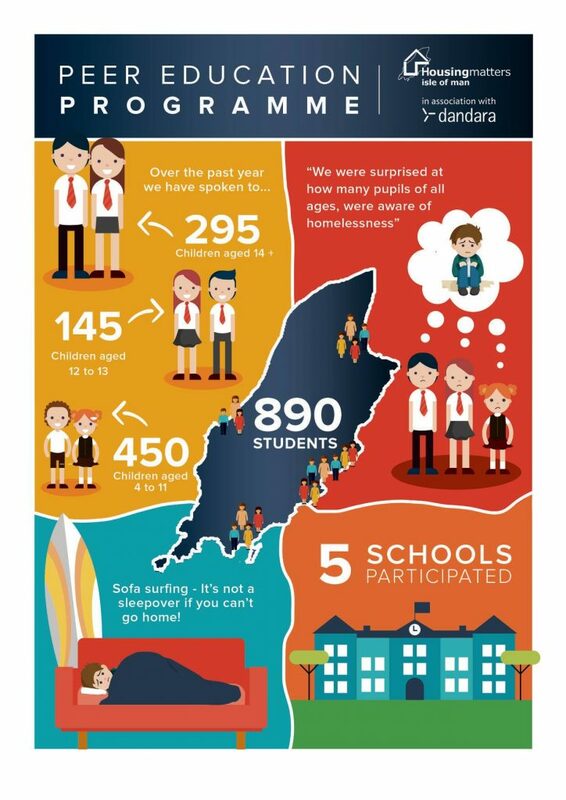 The majority are sofa surfers, relying on friends, and many end up in entirely unsuitable accommodation, often overcrowded and with threats of intimidation. Sadly, some have no option but to sleep rough. ‘The purpose of the Peer Education Programme is to show them that reality, so they are equipped to make informed decisions. We draw on the real life experiences of current and former service users, anonymised to protect confidentiality, to explain the reasons why they left home, what happened to them and where they found help. To find out about hosting a PEP session, please contact us.